The iconic singer and model has made a surprise appearance during the parade of the American brand at the Théâtre des Champs-Élysées, an adrenalin show and in full '70s style. Parigi, 3 marzo 2019 – Psychedelic lights and wild dancing shoes on the Theater des Champs Elysee for TommyNow, the big show organized by Tommy Hilfiger to launch next summer collection for sale now on its social channels, in front of two thousand guests half of which all young people who have earned a place in the theater by subscribing online. But the most beautiful and exciting is the surprise of the emergence of Grace Jones (70 anni, beautiful) who sang and danced in golden body and jacket, still vigorous in showing shapes and legs despite the passing years. shaved hair, rasta clump and makeup for the perfect and infinite lips. 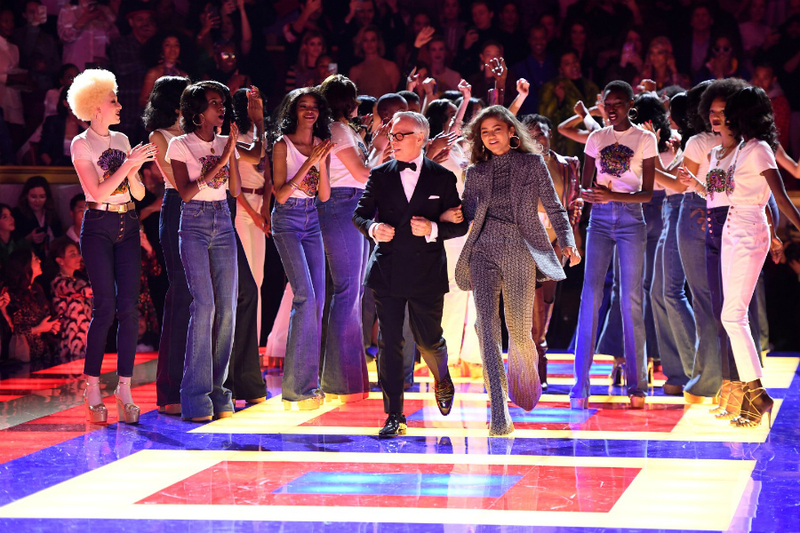 At the end it comes out on the catwalk for the final applause Tommy Hilfiger, therefore launching a special collection designed for four hands by the designer and the American singer and actress just 23 anni (and former feminist activist) Zendaya with him hand in hand on the catwalk..